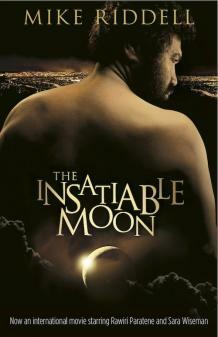 I didn’t get to see many of the films at the 2010 New Zealand Film Festival, but two that I did get to see were New Zealand films, one of which was ‘Insatiable Moon’. I went into this film knowing nothing about it other than it was based on a book and it had a friend of mine, Sara Wiseman, in the female lead. I did know, however, that this film didn’t really get any support from the Film Commission, and that it took many a year to get it onto the big screen. I’m always a fan of the underdog story so I was interested to check this film out and throw my support behind it. I will admit there was quite a lot wrong with this film, from the directing, editing and over the top and in your face sound/music mix, to some dodgy writing and dialogue and some morally ambiguous story elements, which made me feel uncomfortable. But, despite all that, this film still really had some good heart to it and I did find myself with a tear in the eye at one stage. It’s very rare for a film that has so many faults to still have a genuine soul and I think a lot of that was from the two leads who, even though the chemistry wasn’t fully there, were still able to produce great performances. 7 out of 10 from me.